All photos below were taken by me with a Nikon 3300. For more frequent photo and trail updates, follow along with me on Instagram. 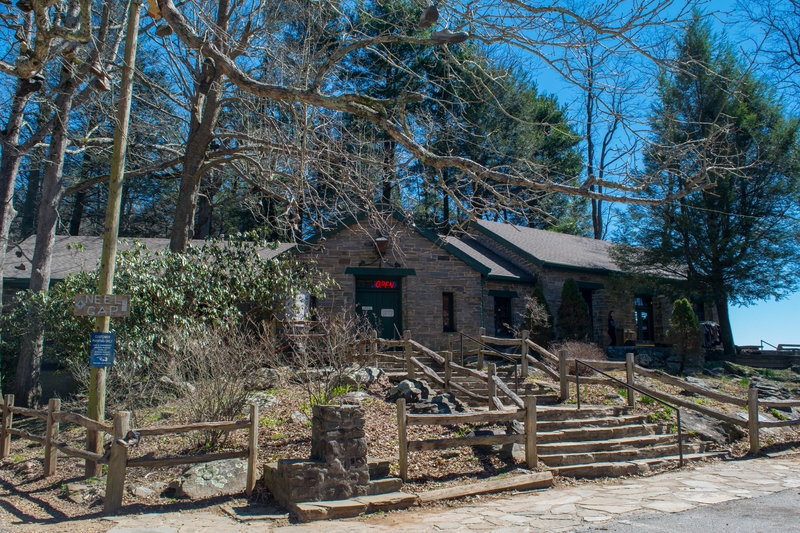 Walasi-Yi Interpretive Center at Neel Gap. 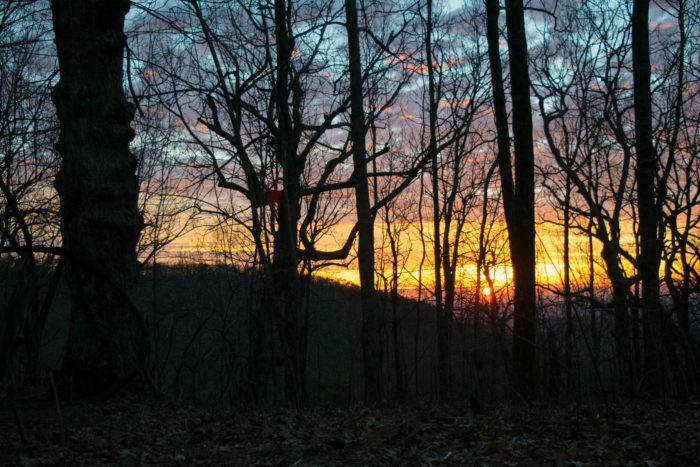 Sunrise from my sleeping bag at Hogpen Gap. 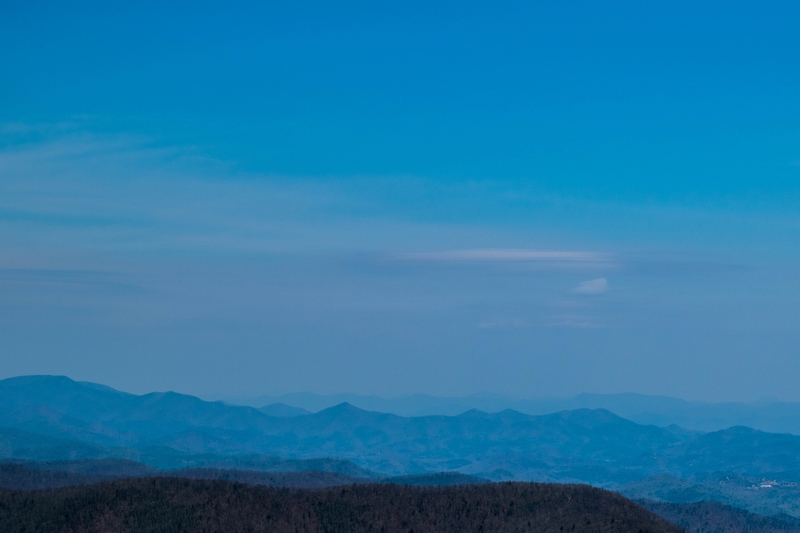 Beautiful views of the Blue Ridge Mountains, looking to the north from Trey Mountain summit. Yonah Mountain looked like a blue wave in the top left. 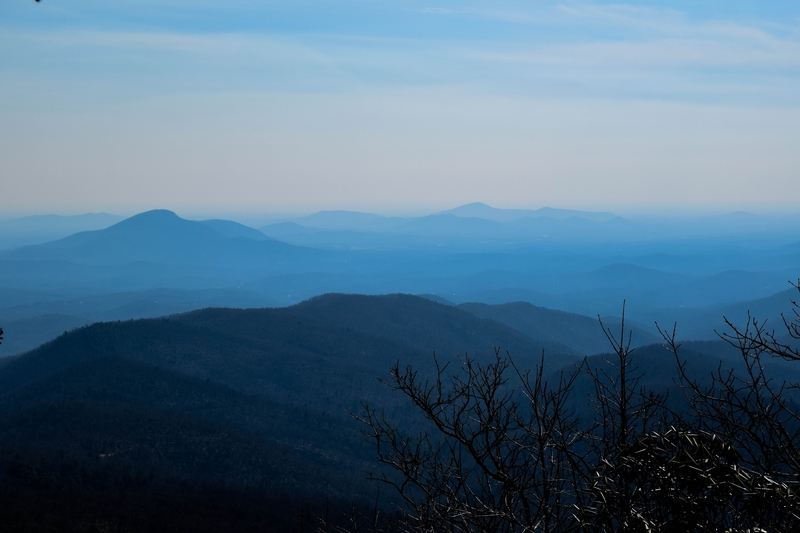 Looking south from Trey Mountain summit. 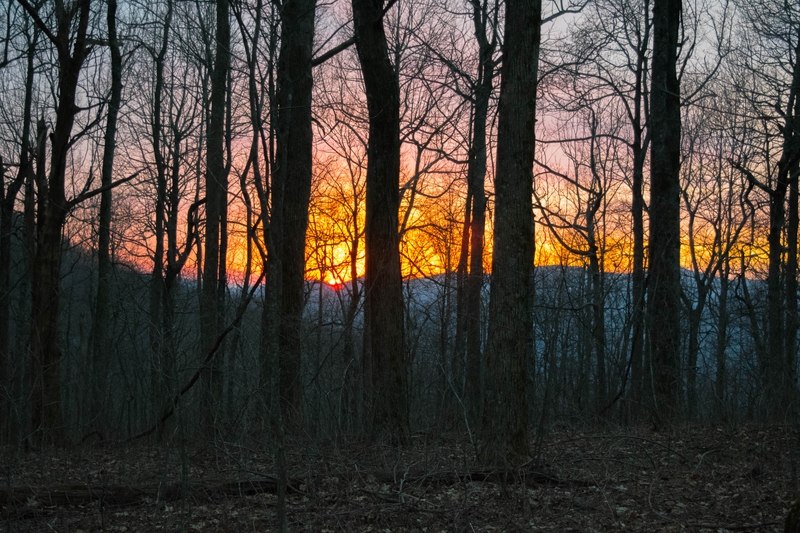 Another incredible Georgia sunset from Sassafras Gap. 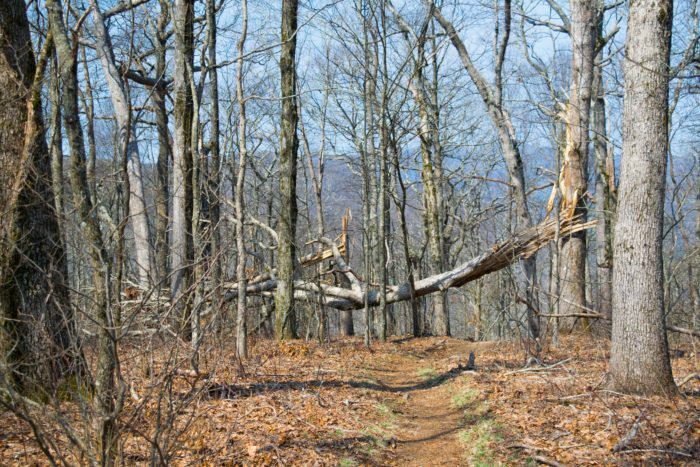 Hundreds of fully grown trees were twisted and snapped from the extreme winds that Hurricane Irma produced last year. Photo taken atop Rocky Mountain. –Don’t sprint the marathon to keep my body happier. –I took a week off trail and allowed my legs to recover after my frenetic start. My knees and ankles took a beating on the downhills! I plan to cut my pace for the next few weeks and stop more frequently to capture photos of people, experiences, and scenery throughout each day. –Community kindness surrounds the trail. 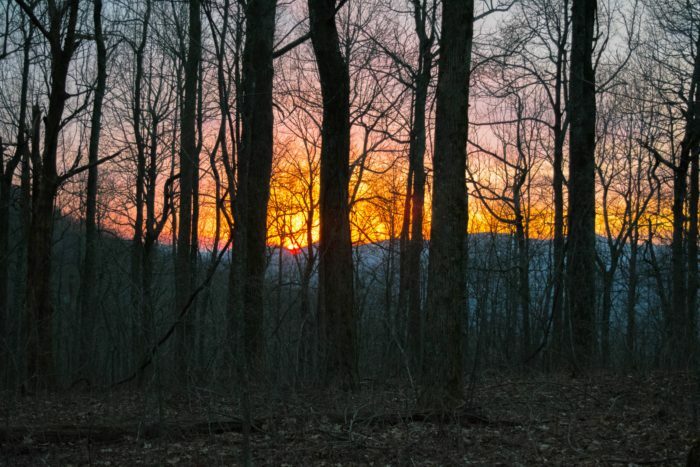 –I’ve experienced hikers with optimistic outlooks, received incredible trail magic from seasoned thru-hikers, and have been offered free lifts into town by friendly locals. The AT community exudes goodwill and offers a helping hand whenever I’ve needed one. Instead of competition, I’ve felt encouragement and been happy for other hikers’ successes. My pace hasn’t matched many other hikers, but that’s completely OK. I hiked most days alone and pondered thoughts that are difficult to address when I’m distracted. I’ve greeted new and familiar faces when I reached camp each night, and I haven’t feared losing touch with these groups as they trekked on ahead or behind me in the mornings. I hope to see them again in the future and wish them success on their hikes. Keep on making your magic. Great pics. Hey Preston, really like the photos you are posting. My son started his NOBO on March 15 also. His name is Dave, he’s from New Jersey. Perhaps you will run into him at some point. Good luck on your journey, I’ll be following you. Hank….the old guy from N.J.
OOPS, never mind. I just saw when you started your trip. But I will be following anyway. Keep the pics coming.